Thirty-three diocesan and religious-order priests are celebrating significant milestones of their ordinations this year. Oblates of St. Francis de Sales Father John J. Dennis, 96, is retired and lives in Childs, Md. He taught at Oblate high schools in Philadelphia, Allentown, Center Valley, Pa., and New York. He was the principal of Father Judge High School in Philadelphia from 1978-86. Father Frederick A. Kochan, 85, retired in 2000 after serving in several parishes in the Diocese of Wilmington. The Elizabeth, N.J., native was pastor of Holy Spirit, New Castle, from 1985-97, and was associate pastor of St. Helena, St. John the Beloved and St. Hedwig, all in Wilmington, and at Holy Spirit. He was ordained a Franciscan priest and worked in missions in Mississippi for 18 years. Father Kochan was incardinated into the Diocese of Wilmington in 1977. Oblate Father James P. Byrne, 82, retired in 2012 after 50 years in active ministry, primarily in education and parish work. In the Diocese of Wilmington, he taught at Salesianum School, and he also was director of Casa de Sales and worked in migrant ministry in the diocese during the 1960s. He spent a total of 19 years at Salesianum on three different occasions. Father Byrne also worked in missions and at parishes in North Carolina and Pennsylvania. Oblate Father Hugh E. Duffy, 84, was ordained at St. Anthony of Padua Church in Wilmington by Bishop Michael Hyle of Wilmington. He is retired and lives in Childs, Md. He ministered in the Diocese of Wilmington at the Oblate novitiate in Childs from 1962-74 and also served as a teacher. Msgr. Joseph F. Rebman, who turns 80 on Dec. 6, has been pastor of St. Joseph on the Brandywine in Greenville since 1999. Msgr. Rebman has been an associate pastor at Immaculate Conception, Elkton, Md. ; St. Mary of the Assumption, Ho-ckessin; Holy Child, Wilmington; and St. Joseph on the Brandywine. He has served in the diocesan Tribunal and has been master of ceremonies, chancellor and vicar general. Msgr. Rebman, who received that title in 1975, has been a member of the Priests’ Council, pastoral council, college of consultors, mission office, liturgical commission, real estate committee and director of Catholic Cemeteries. He also was the administrator of two parishes and of the diocese. Father Thomas F. Gardocki, 75, is a native of Wyandotte, Mich., and was pastor of St. Hedwig, Wilmington, and Corpus Christi, Elsmere, where he oversaw construction of the present church. He was associate pastor of St. John the Baptist-Holy Angels, Newark, and St. Hedwig. Father Gardocki was the longtime dean of the city deanery and served on the diocesan building committee. He retired in 1995 and lives in north Wilmington. Father Thomas E. Hanley, 76, is a Wilmington native and was pastor of Holy Cross, Dover, and St. Paul, Wilmington; administrator of St. Patrick’s, Wilmington; and associate pastor of St. Paul and St. Francis de Sales, Salisbury, Md. He has headed Catholic Charities, worked in Hispanic ministry, served as diocesan director of planning and as spiritual director and liaison with the Cursillo movement. 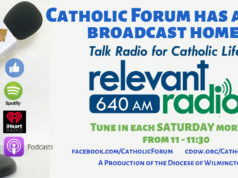 Father Hanley was diocesan director for the Catholic Campaign for Human Development and for Disaster Relief and diocesan coordinator for the National Catholic Conference for Interracial Justice. He went on medical leave of absence in 2002 and lives in Dover. Father John M. Hynes has ministered at St. Catherine of Siena in Wilmington since 1992, becoming pastor in 1996. He also has been pastor of Holy Rosary, Claymont, and Resurrection, Wilmington. Father Hynes, who turns 76 next month, has been associate pastor at Ss. Peter and Paul, Easton, Md., St. John the Baptist-Holy Angels, Newark, and St. Mary Magdalen, Wilmington. He has been involved in Hispanic ministry and with the diocesan partnership with the Diocese of San Marcos, Guatemala, and was director of the Cursillo movement. Father Hynes grew up in St. Helena’s Parish. Oblate Father Eugene L. Kelly, 79, is retired and lives in Childs, Md. He was ordained at St. Anthony of Padua Church by Bishop Michael Hyle and taught for 43 years at schools in Philadelphia. Msgr. Ralph L. Martin, 83, served as pastor of St. Polycarp, Smyrna, and St. Catherine of Siena, Wilmington. A native of Connellsville, Pa., he was associate pastor at St. Thomas the Apostle, Resurrection and St. Matthew’s, all in Wilmington, and Good Shepherd, Perryville, Md. In 2001 he was named director of seminarians for the diocese, a post he held until 2007. He also served on the Priest Personnel Committee and the board of directors of St. Thomas More Academy. He taught at St. Mark’s High School. He was elevated to monsignor in 2005. He is retired and lives in Newark. Bishop W. Francis Malooly, 71, was born in Baltimore and ordained a priest of that archdiocese in 1970. He served as an associate pastor at two parishes before taking over as administrator of the Monsignor O’Dwyer Retreat House from 1981-84. In archdiocesan administration, Bishop Malooly was the director of clergy personnel, chancellor and vicar general. He was named a monsignor in 1990 and ordained an auxiliary bishop in 2001. He was appointed bishop of the Diocese of Wilmington in July 2008 and was installed that September. Norbertine Father Joseph McLaughlin, 72, is director of mission and heritage at Archmere Academy, Claymont, where he has been stationed for almost all of his priestly life. Father McLaughlin taught at Archmere from 1970-83, when he was appointed headmaster, a position he held until 1996. In 2001, he returned to the school as chaplain, then assumed the headmaster position in 2006, remaining in that post until 2010. He has also worked in congregational ministry. Father Michael B. Roark, 73, a native of Darby, Pa., retired last year after serving as pastor of Immaculate Conception, Marydel, Md., where he had served since 2007. He also served as pastor of St. Paul’s, Wilmington, St. Benedict, Ridgely, Md., and St. Mary Refuge of Sinners, Cambridge, Md. He has been associate pastor of St. Elizabeth, St. Matthew’s and St. Paul’s, all in Wilmington; and St. Francis de Sales, Salisbury, Md. In 1987 he left the diocese to serve in the Diocese of Knoxville, Tenn., returning to Wilmington in 1999. He also has been a missionary in Peru and has served in Hispanic ministry. Father Roark lives in Tennessee. Father Michael A. Angeloni, 65, works with the Ministry of Caring in Wilmington. He has been pastor of Holy Child, Wilmington; Holy Family, Newark; and St. John the Apostle, Milford. Father Angeloni, a Philadelphia native, served as associate pastor of St. John the Baptist-Holy Angels and Holy Family, Newark, and St. Mary of the Assumption, Hockessin. In addition, he has been director of vocations and of the permanent diaconate. He has served on the Priest Personnel Committee, the Spiritual and Intellectual Life Committee, the diocesan Liturgical Commission, the priests’ council, the college of consultors and the board of directors of St. Thomas More Academy. Father Joseph J. Drobinski, who turns 70 on Christmas Eve, is the pastor of St. Matthew’s in Wilmington and dean of the Central New Castle Deanery. He previously was pastor at Resurrection, Wilmington. He has been associate pastor of St. Francis de Sales, Salisbury, Md. ; Holy Family, Newark; and Holy Child, Wilmington. Father Drobinski, a Wilmington native, was chaplain at Salisbury State College and a member of both the pastoral commission and the presbyterial council. Father Arthur B. Fiore, 69, has been pastor of St. John the Baptist-Holy Angels since 2009. He previously served as pastor at St. Paul’s, Wilmington, and St. Peter the Apostle, New Castle, where he had also been an associate pastor. He also was associate chaplain at St. Thomas More Oratory, Newark. Originally from Coatesville, Pa,, Father Fiore was ordained for the Franciscan Friars Third Order Regular and was incardinated into the Diocese of Wilmington in 1997. In Wilmington he served as director of the Urban Spanish Apostolate and on the priests’ council. He is dean of the Iron Hill Deanery. Father James M. Jackson, 66, is currently an associate pastor at St. John the Baptist-Holy Angels in Newark. He has been pastor at Holy Rosary, Claymont, and associate pastor at St. Mary of the Assumption, Hockessin; Holy Rosary; and St. John-Holy Angels. 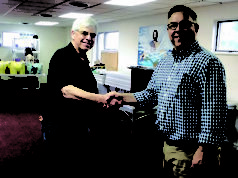 He has been a chaplain at the Vaughn Correctional Center in Smyrna, liaison to the Charismatic Renewal and diocesan chaplain of healing ministry. Father Jackson, who is from Wilmington, has been a member of the diocesan Liturgical Commission and the Hockessin Inter-Church Association. Msgr. Kevin T. McMahon, who turns 66 on Nov. 25, is a professor and vice rector for administration at the Pontifical College Josephinum in Columbus, Ohio. A Philadelphia native, Msgr. McMahon has served as a moral theologian in various capacities since 1983. He has been a professor at Mount St. Mary’s Seminary, Emmitsburg, Md., and St. Charles Borromeo Seminary, Philadelphia. He served as vicar for healthcare issues in the Archdiocese of St. Louis and as vicar for Catholic doctrine, identity and mission in the Diocese of Scranton. In the Diocese of Wilmington, he was an associate pastor at St. Mary Magdalen, Wilmington; Ss. Peter and Paul, Easton, Md. ; and St. Francis de Sales, Salisbury, Md. Father William D. Melnick, 66, is retired from active ministry. He had served as associate pastor at Holy Cross, Dover; St. Thomas the Apostle, Immaculate Heart of Mary, St. Helena’s, St. Elizabeth and St. Ann’s, all in Wilmington; and St. Mary of the Assumption, Hockessin. He served as chaplain to Wesley College while stationed in Dover. Father William J. Porter is pastor of Holy Name of Jesus, Pocomoke City, Md. The Philadelphia native also served as pastor at St. Luke-St. Andrew in Ocean City, Md., where he oversaw the construction of a new mission church, St. John Neumann in nearby Ocean Pines. Father Porter, 67, was an associate pastor at St. Elizabeth, Wilmington, where he also served on the high school faculty, and he taught at St. Mark’s High School. In addition, he has served as diocesan assistant master of ceremonies. Father Dennis G. Volmi had a long career as a military chaplain before retiring to Milford. The Kearney, N.J., native is a canon lawyer and has served as an associate pastor at St. Catherine of Siena, Wilmington, and St. Elizabeth Ann Seton, Bear. He was appointed to the diocesan Tribunal in 1981. Father Volmi entered the U.S. Air Force in 1989 and served in Montana, Phoenix, Portugal, Utah, Italy, Japan and Dover. Father Leonard J. Blakely, 68, is a Wilmington native and pastor at St. Dennis, Galena, Md., and also has been pastor at Sacred Heart, Chestertown, Md., and temporary administrator of Immaculate Conception, Elkton, Md. He was associate pastor at St. Francis de Sales, Salisbury, Md. ; Holy Rosary, Claymont; Our Lady of Fatima, New Castle; and St. Luke-St. Andrew, Ocean City, Md. Msgr. George J. Brubaker, 68, is the pastor of Our Lady of Fatima, New Castle, and St. Paul’s, Delaware City. Born in Ventnor, N.J., Msgr. Brubaker has also served as pastor of St. John the Apostle in Milford and associate pastor of Good Shepherd, Perryville, Md., and St. John the Baptist-Holy Angels, Newark. He was appointed as a judge on the diocesan Tribunal in 1983 and until recently was the judicial vicar for that body. He also has been diocesan director of Catholic Relief Services, director of church affairs for national Catholic Relief Services, a member of the Priests’ Council, diocesan master of ceremonies and a member of the diocesan Finance Council. Since 1984 he has been an Air Force chaplain. Father Steven B. Giuliano, 61, originally from Darby, Pa., is pastor of St. Peter the Apostle, New Castle, and previously served in the same role at St. Joseph, Middletown. He spent many years in the Archdiocese of Philadelphia as an associate pastor. In 1991 he was appointed regional vicar for the Missionary Fraternity of Mary. That same year, he came to the Diocese of Wilmington as director of Latino and Migrant Ministry. He has been an associate pastor of Corpus Christi, Elsmere, and St. Mary of the Assumption, Hockessin. 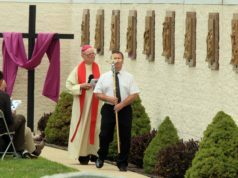 Father John P. Klevence, 58, is pastor of St. Ann’s, Bethany Beach, and has previously served as pastor of St. Peter the Apostle, New Castle, Immaculate Conception, Marydel, Md., and St. Mary Star of the Sea, Ocean City, Md. In addition, he has been an associate pastor at St. Elizabeth and Holy Child, Wilmington, and Our Lady of Fatima, New Castle. Father Klevence, a native of Philadelphia, was director of the diocesan Office of Missions for 18 years and has served on the vocations board. Father Christopher W. LaBarge, who was born in Pittsfield, Mass., has been the pastor of St. Francis de Sales, Salisbury, Md., since 2009. He has been pastor of Immaculate Conception, Marydel, Md., and St. Luke/St. Andrew, Ocean City, Md., and associate pastor of Our Lady of Fatima, New Castle; St. Elizabeth, Wilmington; and Holy Cross, Dover. Father LaBarge, 61, has served on the diocesan pastoral council and was chaplain to the Wilmington Fire Department, National Marriage Encounter and the Delaware Knights of Columbus. Father John J. Mink, 55, a Philadelphia native, is pastor of St. Ann’s, Wilmington. He previously served as pastor and associate pastor at Our Lady of Fatima and also as associate pastor at Holy Family, Newark, and St. John the Beloved, Wilmington. Father Mink is a chaplain in the Army National Guard and for the Delaware State Police. He has served as the director of the Priest Personnel Committee and on the diocesan pastoral council. Father James B. Smith, 67, is associate pastor of St. Mary of the Assumption, where he has ministered since 2004. The Lawrence, Mass., native has served as associate pastor Christ Our King, St. Ann’s and St. John the Beloved, all in Wilmington; St. Francis de Sales, Salisbury, Md. ; and Holy Cross, Dover. Oblate Father Paul H. Colloton, 61, is an associate pastor at Immaculate Conception in Elkton, Md. He was ordained a Dominican priest in 1990 and transferred to the Oblates of St. Francis de Sales in 2009. 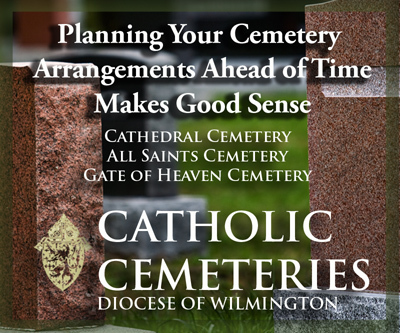 This is his first assignment in the Diocese of Wilmington. Father Colloton was a founding member of the board of directors of the National Catholic AIDS Network and has worked in parishes in Denver and Washington, D.C. He also ministered in several capacities with the Dominicans. Capuchin Franciscan Father Ronald Giannone came to Wilmington in 1976 to work at the St. Francis Renewal Center in north Wilmington. He founded the Ministry of Caring the next year and has been the executive director since. “Brother Ronald,” as he is known to everyone, built the Ministry of Caring to include dining rooms, homeless shelters, day care, medical care and job placement. Before coming to Delaware, he worked with the poor in his native New York, Indiana and northern New Jersey. Oblate Father James J. Greenfield, who celebrated his 54th birthday this week, is the provincial for the Wilmington-Philadelphia Province of the Oblates of St. Francis de Sales. He also has served as a teacher in Oblate schools, including Salesianum, and as vocation director and chaplain at George Washington University, director of postulants and assistant provincial. He recently completed a two-year term as president of the Conference of Major Superiors of Men. Father William B. Kauffman, 66, has served in a number of capacities as a diocesan priest. He was a Lutheran minister before converting, beginning studies for the priesthood in 1986. A native of Waynesboro, Pa., he has been an associate pastor at Holy Cross, Dover and St. Peter Cathedral, Wilmington. He also was rector of the cathedral. His other ministries have included chaplain at the Port of Wilmington, the VA Medical Center in Elsmere and the National Shrine Grotto of Our Lady of Lourdes in Emmitsburg, Md. Father Clement J. Vadakkedath, CSsR, the pastor of Our Lady of Lourdes in Seaford, was born in Kerala, India, and was ordained a Redemptorist priest in 1990. He served in India in pastoral and congregational ministry before earning a doctorate in moral theology in Rome in 2004. He returned to India and was elected provincial of the Redemptorists there, and he served as a member of the board of trustees of the Alphonsian Academy in Rome. Father Vadakkedath later worked in pastoral ministry on the Caribbean island of Domenica and was appointed to the post in Seaford this past summer.